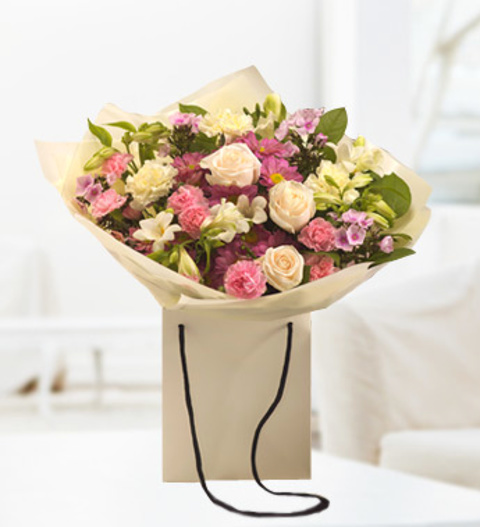 A wonderfully soft, creamy & scented hand-tied bouquet, aqua packed for freshness featuring Roses, Freesia, Phlox, Alstroemeria & Chrysanthemums. This bouquet is hand delivered by a florist on the very same day as ordering if ordered before 3pm. Our florist delivered flowers are wonderfully arranged by highly skilled & passionate British florists.